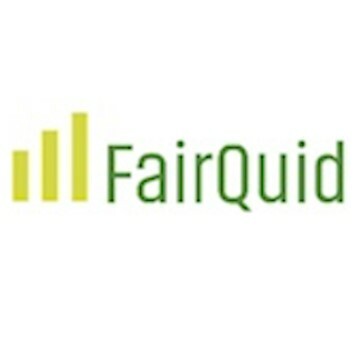 Thank you for registering your interest in FairQuid. 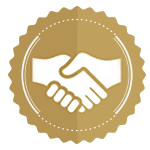 FairQuid is an organisation with a clear goal - to reduce the harmful effects of Financial Exclusion. Through their 3 pillars, Education, Savings, Access , they are looking to create a positive social impact and help those encumbered by financial stress. They leverage alternative data to open up access to finance at a more realistic and affordable cost model. By using employment data such as length of service and performance as indicators of employee stability, an informed decision can be made on true lending circumstances, in a modern way. Using behavioural nudges they encourage long-term savings & provide tailored financial education, in close partnership with member owned Credit Union. Financial Education: Tailored education for individuals based on their personal circumstances and needs. Savings: A savings programme run through their not for profit, member owned, community financial partners, Credit Unions, where the money saved is lent to others in the same community. Peer to peer lending with an FSCS guarantee. Borrowing: Access to ethical lending using their innovative Alternate Lending Data model and offered in conjunction with Credit Unions. Additionally, their programme bundles savings alongside loan repayments. This ensures that by the time the loan is repaid individuals accumulate a savings pot to end cycle of persistent debt. “Financial inclusion allows people to save for family needs, borrow to support a business, build a cushion against an emergency. Having access to financial services is a critical step towards reducing both poverty and inequality, and new data on mobile phone ownership and internet access show unprecedented opportunities to use technology to achieve universal financial inclusion.” (World Bank President Jim Yong Kim). Bringing together access to multiple financial solutions (education,savings,ethical lending) in one place is their platform’s ambition as today there are too many ways to confuse and disintermediate individuals from the real value and access that could be on offer. Monetisation: Transaction model (Fee/Commission) from the suppliers (Credit Unions). Platform fee from Employers to be introduced for Educational and Savings modules, once they have been fully implemented.